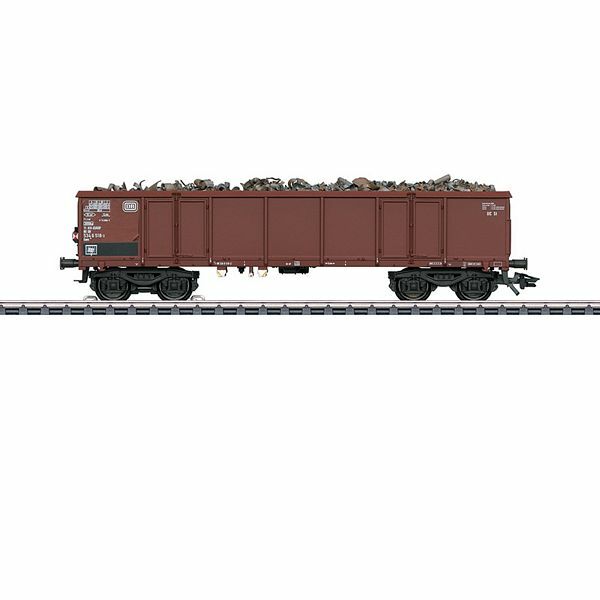 Prototype: German Federal Railroad (DB) type Eaos 106 gondola. With rectangular buffers. With a red marker light, without a handbrake and a brakeman‘s platform. Reddish brown paint scheme. The car looks as it did around 1982. Digital decoder with up to 9 digitally controlled functions, which can be operated with the Central Station or Mobile Station. Up to 5 functions, which can be operated with the 6021 Control Unit. Equipped for up to 16 functions with future controllers. The functions present depend on how the locomotive is equipped.